At Compass we provide a seamless transition between your facilities. We are THE specialists in this field. We offer a professional service throughout the Scotland and the rest of the UK. Compass are Office Furniture Installation Specialists with many years of experience in the planning, storage, distribution & installation of a wide range of office interiors. Our highly trained and motivated staff have many years of experience in the careful treatment and handling of office furniture ensuring that your project is on time and within budget. The COMPASS Business Moves Team have over 30 years experience in providing first class service in relocation, storage & reconfiguration of office furniture. The Company was established by David Stoddart who has first hand experience of every aspect of the Relocation, storage and reconfiguration process this with the expertise of our own Office Furniture Installation Team you can be assured your furniture will be dismantled, relocated and re-installed to the highest level. 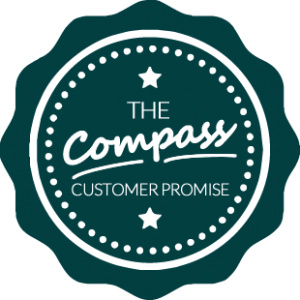 Compass Business Moves has developed the company’s systems to ensure a cost effective, high quality service to meet and exceed customer expectation and satisfaction. Our comprehensive range of services is co-ordinated from our warehouse and head office based in Rosyth. We also have an expert team of warehouse personel proficient in the packing and storage of office furniture, equipment and documents. Whether your venture is large or small Compass Business Moves can provide the necessary expertise to realise the perfect solution tailored to your needs. Our staff are highly trained and motivated and will complete your project on time and within budget. We strive to be the most efficient and reliable furniture installation company within the UK and guarantee a hassle free service allowing your organisation to concentrate on the work you do best.